Go for the Prince Cheese Potato (起士马铃薯)with a variety of toppings. It is located on the left of NET ( a retail store) diagonally across Jiantan MRT Station. We tried this for the first time after walking one huge round and the maze within the night market and realised we did walk past the cheese potato stall and did not notice it! Queue and they will take your orders shortly while you continue to wait patiently for your food. There's some tables inside to accomodate small groups. This dish should be eaten fresh when the cheese is still bubbling hot. Once it turns cold, it might be 'jelat'. Generous amounts of toppings on the baked potato made this a main by itself for the small eaters. Only my second time at Ningxia Night Market, which is quite a long walk from Zhongshan MRT Station. I like how organised this place is which makes finding good food easy. We got the famous papaya milkshake (Childhood Papaya Milk 童年木瓜牛奶). It was bravo. Do you know what was so good about it? Because the owner actually blended the milkshake 3x the time taken by a normal vendor you purchase from in Foodcourts for example. We also had the 铜锣烧 followed by Ah Pek’s Stinky Tofu里长伯臭豆腐where they also sells oyster mee sua which i found it quite average. 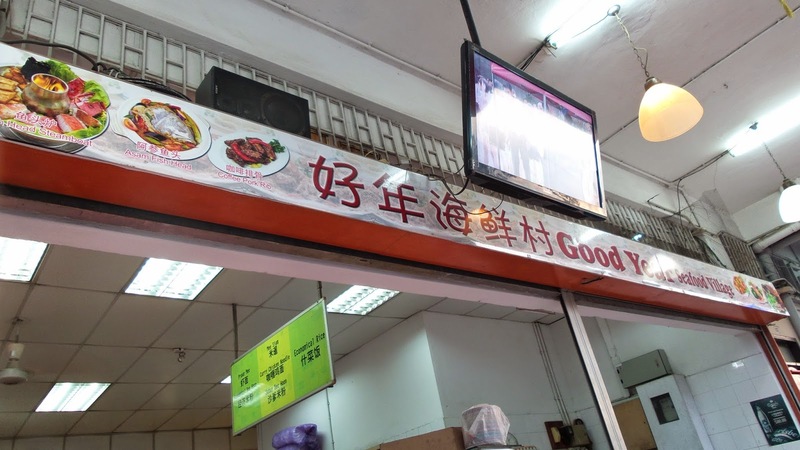 :Located at 台北市武昌街2段82巷3弄1号 (武昌诚品对面巷内), it has one of the best pork rib rice i've ever had. It is well marinated and comes in a huge piece ( bigger than the pork ribs that we all love at Din Tai Fung). If you are having the rice, they have complimentary pickles and vegetables to mix with the rice. I like the chilli though a bit salty for us. Better than no chilli at all! :) They are available for takeaway too! That's why i love the location of my hotel, it's so convenient to all the nice food. It is perpetually crowded especially during breakfast, lunch and dinner. We takeaway to our hotel so that we can enjoy it in the comfort of the our own space. The soup taste like herbal soup and we i love how much bean sprouts they add in the noodles. The pork ribs are fried and dipped in the soup to bring out the taste better. Perfect to warm your body in the cold weather. You may have a bit of difficulty finding this Bakchang. But love it or leave it. You decide. It has this vegetarian peanut dumpling and you can top it off with peanut sprinkles. I like the fishball soup here too and you can ask for extra soup, sounds good right? * winks * and the meat dumpling is loaded with pork and is good to share between two if you're calorie-conscious. And when i mean local eats, it literally means you won't see many tourists around because they are usually frequent by the community. But aren't these food you should really try when you are travelling? To have a taste of the local culture and preference. Hence, let me introduce to you the Top 3 Must Tries if you are more an adventurous foodie like me! 台北市和平西路3段166号 Long Shan Temple station (Exit 2)  turn left, walk straight until you see the traffic junction. Cross the junction, it is located just a few shops away from the traffic junction. 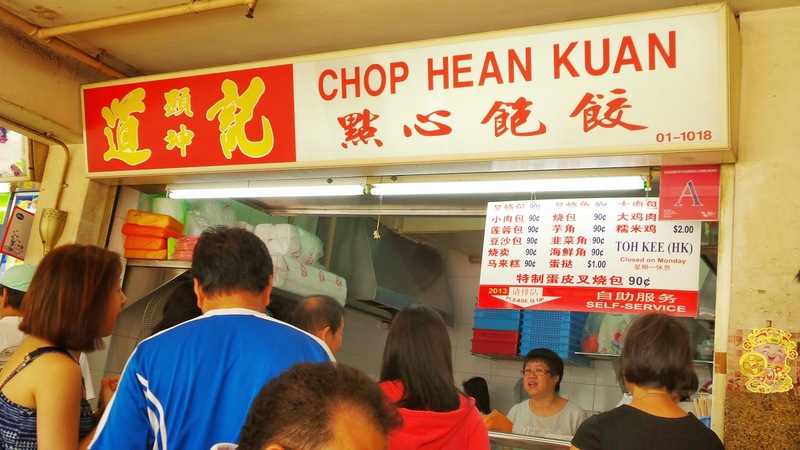 Visited Longshan temple and wondering what to eat around there? Find this Meesua which is comparable to Ah Zhong ( or even better like my grandma says). It's served hot and you can add more vegetables for a healthier option. Also, get the large one because i had one large one and wanted another! Get ready for abundance of intestines and oysters! Local eats will include things like this porridge. We found ourselves to be the only foreigners because everyone just orders the moment they sat down but we needed a while to look through their slip of order form which is also their menu. Must tries are Deep fried pork slices紅燒肉steamed sotong 花枝 ; 醬油蘆筍  need more can order 粉肠 ; and 嘴边肉. The porridge is quite little so we had two bowls each. It is very tasty and goes well even without the complementary dishes like the 紅燒肉. We had two portions of the 紅燒肉and what's better than having chilli served without asking? Not cheap for porridge ( taiwan style indeed). We have this every time we are in Taiwan. Be smart and reserve a table if not you will surely be turned down at the door because their business is simply too good. They have several outlets all over but we like to go to the one at Taipower Station because we get to buy 'We love cookies'(see below). 2 hours limit per table so you better learn how to order fast and eat fast too! Cuz you will realise there is too many dishes you want to try on top of the wide variety of desserts and drinks included! :> Must tries: The muahchee filled with cheese/ black sesame, pork ribs, you tiao, lu rou fan. A typical breakfast for Taiwanese and a must-try for the tourists. Especially for the first timers, try their savoury soya bean curd and the shaobing. The carrot cake is quite famous too! Don't forget your doujiang youtiao. Usually quite small sitting area so you have to share for sure :) Many outlets everywhere. Our daily indulgence in duck necks, wings, and other organs is a sin right? But we can't help it, especially when we leave just 2 minutes away from this shop which Hongkongers and other tourists buy loads to bring back home. Goes well with beer and they have awesome chilli so do ask for some if you remember! First night's dinner was this steamboat restaurant and we booked in advance via facebook or else you can dream about eating. The staffs there are always in a rush because they need to be fast in everything that they do throughout the meal time coz we are only entitled 1.5hours to finish the meal ( that includes ordering as well of course). Famous for their unique steamboat pot and soup base comprised of salted vegetables ( which are surprisingly aren't salty at all) with pork belly slices. It is ala-carte but we still ordered a lot. On a day when you feel like a break from chinese food. You may wanna try this rather famous restaurant. It is known for their ribs which we ordered a full slab and couldn't finish. It is surprising that four of us could not finish one and had to ask to takeaway. But it was a lot of meat, must be a damn huge pig. Order beers to go along with the carnivorous meal. They have al-fresco sitting which we regretted not taking coz the interior sitting was a little stuffy for us. Their sides were pretty unique too! I had two baked sweet potato with cheese, i guess it was the sides that filled us up so quickly! We also booked this place upon our arrival in Taipei. You may want to get a phone card like us from maybe FarEastStone ( about SGD 12) to call and make your reservations at restaurants so that your hopes won't dash when you realised that you don't have a table. We had the tea set as well as a croque monsieur set and came with 3 pots of teas altogether. Do note that not all teas are refillable, some do not come with a tea bag and hence it's strictly one round. Quite a relaxing place for a weekend hi-tea. They also have dinner sets. Tel: 02-2751-8185 Opening Hours: 7am – 10pm TO TRY: Raccoon-look-alike breads; walnut bread; garlic cheese bread; pineapple bun; cocoa pudding bread; honey-butter balls. Breads here are affordable and unique.We bought the walnut bread twice on separate occasions coz it was really good! Bread lovers better don't skip this! You can find this at JiuFen or Taipei Main Station. We bought some souvenirs back ( just food actually). Their cookies are freshly made and hence, can only keep for 2 weeks.Better to buy only when you are leaving Taipei. Must tries will be the 綠豆沙餅, 鳳梨酥*, 芋頭酥, 奶油太陽餅.